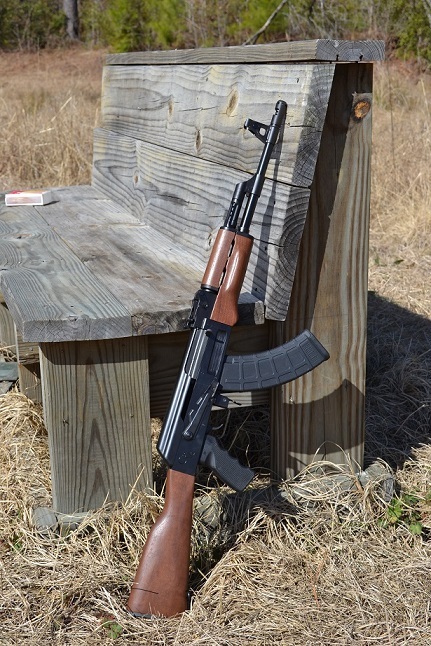 “Beautiful” isn’t normally my first thought when I see an AK-47. 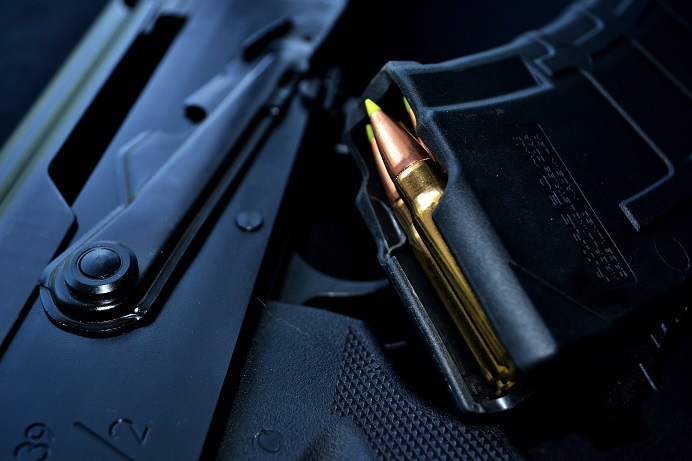 It’s true that there is a lot to be said for its reliability and the fact that you can’t slow it down with corrosive ammo, water, dirt, dust, carbon buildup, etc. Heck, you could throw it into a kiddie pool full of Jello chocolate pudding and it would still put rounds on target. But let’s be honest: an AK isn’t the most attractive weapon out there. And it doesn’t need to be. The AK platform’s beauty is typically in its functionality. The C39v2 from Century doesn’t take anything away from that aspect of the weapon. But when I opened the box of the test gun I was sent, it was the first time I remembered thinking how good an AK-47 looked since the first Polytech I ever cycled. Yes, I’ve only messed with one Polytech in my life. Don’t get bogged down in the little details. Onward. The milled receiver has nice machine work and is finished to a higher level than most stamped guns I have seen. Additionally, Century really went above and beyond to ensure that the C39v2 was spec’d out to the hilt. And the thought they put into it really does show. 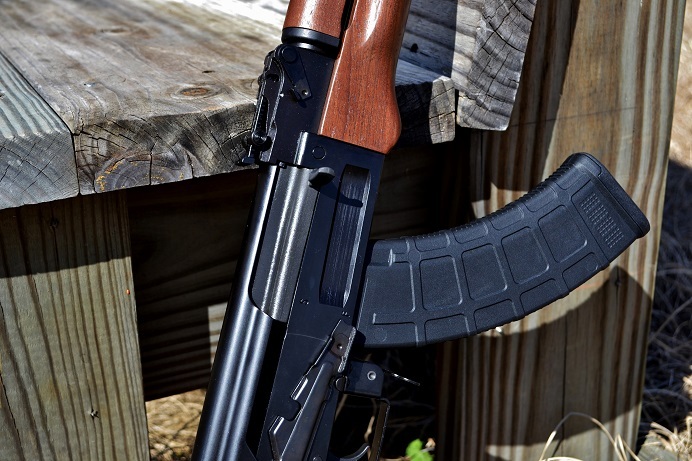 From the enhanced trigger group to the oversized magazine release, smoothness of the action, and improved AKM furniture compatibility, Century really lived out the mantra of the industry: give the shooters what they want. The enhanced trigger broke at right around 5.5 pounds every time on my Lyman digital trigger gauge, but it was an interesting pull. 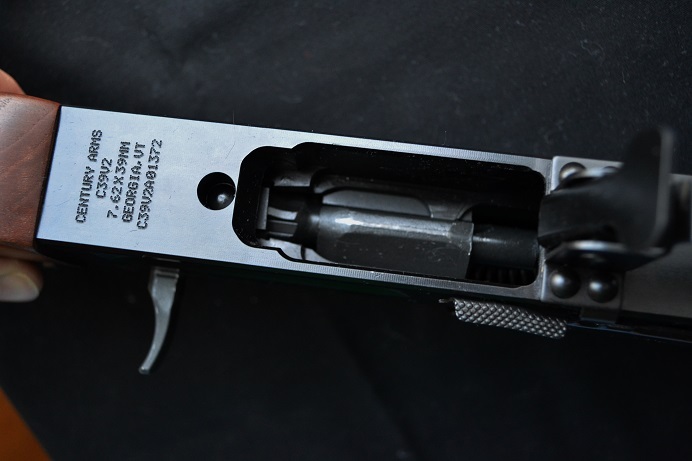 It didn’t have any grittiness at all, and the pull was very clean, but the one on this test gun almost felt like (it wasn’t) a two-stage trigger. It would catch ever-so-slightly at the end of the take up and after that point the break was a crisp 1 pound. ONE pound. I loved the trigger on this thing compared to any other factory AK trigger I have ever tested. Great work, Century. The accuracy was definitely better than I’m used to seeing out of average AK’s. Even still, my eyes have a lot of trouble with AK iron sights, so I’ m not confident I saw what the C39v2 is truly capable of. Nonetheless, I and everyone else who had a part in testing this gun had nothing but fantastic words for it. Coming from an AR fanboy like myself who got his start in the AR industry, this was an extremely impressive rifle. Weighing in at a little over 8 pounds, the v2 was heavy, but that’s to be expected when the receiver starts out as an 11-pound block of steel. The action was smooth (both during live fire and hand-cycling) and the features were very impressive for the price point. Century mills the receiver of the C39 from an 11-pound block of billet 4140 steel. A bolt hold-open safety, AKM furniture compatibility, black nitrite coating, T-shaped mag catch, and Magpul magazines bring the whole package together very well. For a gun with a sub-$800 MSRP and sub-$700 street price, this has a lot to offer to people (yes, even AR enthusiasts) who just want something a little different to take to the range occasionally. After a fair number of rounds, I was impressed with this thing. First of all, there were zero failures of any kind. That isn’t really anything special for a design that is known for always being reliable, but it’s worth mentioning nonetheless. The magazines fit well with no “wobble” or rattle, and the overall finish of the gun is better than I’m used to seeing on AKs. Disassembly was par for the course and didn’t pose any novel challenges. The finish on the furniture was nice and the safety engaged and disengaged easily without gouging the receiver. Hornady Zombie-Max, while gimmicky, uses a great bullet design that has undeniable merit as a self-defense round. *Thank you to Century Arms for loaning us a demo gun. This rifle is the property of Century, and any opinions in this review are the author’s own.